There are plenty of airline options to Costa Rica these days with the ever increasing list of current airlines that fly to Costa Rica such as American Airlines, Avianca, JetBlue, Spirit Airlines etc. These airlines occasionally offer special discount airfares depending on when you plan on going but I have found that, generally speaking, the best prices will be found in September and October as those are the 2 lowest months of the year for travel to Costa Rica. One of the main reasons for this is that this (apart from the kids being back in school) is that these are the 2 rainiest months of year and so going on a family vacation can be difficult…. But for a surf trip,who cares you’ll be surfing! The airline you take depends on where you are flying from and what package you choose. This is due to airline restrictions on tickets. Some tickets can be sold as “air only” while others must be included in a minimum package (two nights hotel or week vehicle rental). Since you will need either one of the minimum packages as part of your perfect surf vacation this actually works to your advantage price wise. Traveling to Costa Rica from the U.S. In most cases when traveling from the United States you can either travel from your hometown airport if serviced by American Airlines or American Eagle or from one of the following Gateway Cities (Miami, Orlando, Washington D.C., New York, Dallas, Houston, Los Angeles, or San Francisco). Sometimes it is cheaper to travel out of one of these cities while other times it is not. For surf trips I always recommend getting a flight that gets in early in the morning and leaves late. This way you can be in the water on both the day you arrive and the day you leave. Time of day is important. Travelers will find the most affordable seats departing early in the morning (5 to 7 a.m.) or late evening (after 8 p.m.). Mid-day (11 a.m. to 4 p.m.) is a bit more expensive, but still reasonable. Most expensive are the peak business travel hours (8 to 10 a.m. and 5 to 7 p.m. Upon your arrival to San Jose you have a few options. If you are landing early enough we recommend you get moving on to the beach, anywhere from 1 1/2/ to 7 hours drive depending on where you are going. If you are arriving after 1 pm or at night you should get a hotel room for the first night in San Jose Its just not a good idea to be in a hurry on unfamiliar mountain roads at night after an international flight. If you get up early you can be at the beach early enough to get in a full day of surf anyway. We do not recommend domestic air carriers for travel within Costa Rica because they DO NOT guarantee boards will fly. Enough said. If you are going to Pavones, Drake’s Bay, or anyplace else that will not require a vehicle then you could charter your own plane. You will need at least a 7 seven seat Navajo to accommodate boards. If you absolutely have to get out of San Jose when you arrive then you may want to arrange a ground transfer to your surf destination. This is especially true if you arrive at night as its not a lot of fun to drive in Costa Rica at this time. You would arrange this ahead of time and the transfer company will meet you at the airport and take you to your hotel. After that or at the time you make your transfer reservation, ask the car rental company to drop your car off at the hotel the morning after you arrive. In some cases, depending upon the rental time, car company, and town you are going to, the drop off fee for the vehicle can range from $0 (no that is not a misprint) to $150. 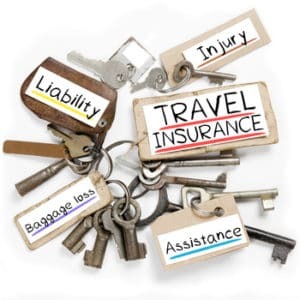 If you are just going to stay in one place for the entire time ( not recommended) than ground transfers are also an option since you will not be renting a vehicle. This is by far and away the best way to go surfing in Costa Rica and the way I recommend to almost anyone that goes there. It gives you the maximum chance to explore and lets you stop at any surf break, at any time along the way, for as long as you want. This way if it is going off at one spot you do not have to leave because you are with a group and they all want to go. Check out car rental rates for the time you will be going and whatever you do rent a 4×4 and NOT a sedan as some of the roads you will be traveling may need the added traction that a 4×4 provides. I have found that we can be most competitive from flights departing from the U.S and that you can usually find a good rate from one of the Gateway Cities that fly into Costa Rica such as Miami, Houston Los Angeles. 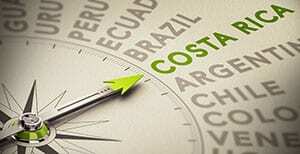 The reason for this is because Costa Rica is usually a high price ticket from outside the United States. In Costa Rica there are surf hotels with prices ranging from $39 to $350 per night. Most of the hotels by the major surf spots such as Tamarindo, Jaco and Nosara are surfer friendly. Depending on your travel style you can find anything you want by checking out all your hotel options in the area(s) you want to surf. Should I pre-book my hotel or just wing it? We actually used to recommend you just get your plane ticket and vehicle but no longer. Good hotels are becoming more well known and popular. Also many hotels no longer have discounted show up rates. This has resulted in many of our frequent travelers telling us that they have not been able to get in the good hotels or get a “walk in” room at regular price at inferior places. Although there are hundreds of breaks to explore we do not recommend you stay less then three nights in any place. Otherwise you are spending too much time on the road and not able to even begin to discover what makes each town and break unique. Q: What Type and How Many Boards should I take? A: Take two boards: a regular shortboard and a step-up. There is no point in bringing something you might not ride. So target the type of surf you’re after and load appropriately. Surfers usually seem to be more turned off by too much board as opposed to riding something a little smaller than they might be used to. But it’s the step-up-type boards geared towards better, bigger surf that the average guy can handle. Q:My friend just learned to surf, however I am a little more advanced. Even though my friend is still a beginner, he doesn’t want to take any lessons. We’re looking for somewhere that has enough break for us both to enjoy at that time of year. Obviously, the less crowded the better! 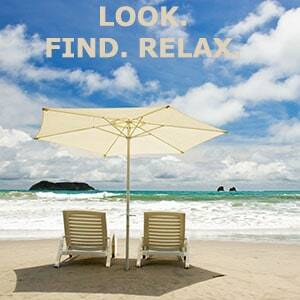 Q:I am planning a trip and :I am looking for some insight on where to go. 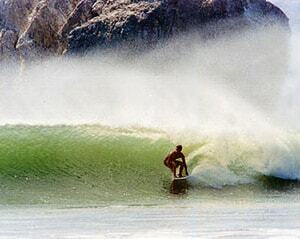 I have surfed Nosara many times in the Spring and really enjoy the waves but not the 5 hour drive from San Jose. I am going with a bunch of novice surfers and am a little worried Hermosa will be too heavy for those guys. Would you recommend Nosara over the Hermosa area for novice surfers who usually ride longboards? A: Generally speaking Hermosa can be a little heavy at times but you do have a lot of different spots to surf you could surf Hermosa on good days or go to Jaco or even the far south end of Hermosa ( it breaks further out not such a heavy beach break) also you guys could check out Boca Borranca or head down to Manuel Antonio for the day.